Arrives in Estonia at the end of May and at the beginning of June already ends the singing. Therefore, the opportunity to listen to him does not last long. Tascam Dr-100 MK III, Azden mixer, primos. 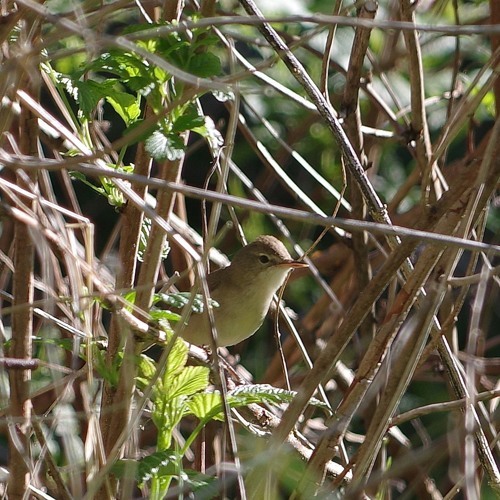 Sooo nice, I always like to hear Blyth's Reed Warbler. @malcolmshaw: Thanks for comment! Yes, here's pretty good acoustics. It's because there was almost no wind ( weather is my friend here ), those cuckoos always give nice echo ( pure luck here ) and finally where I placed microphones ( my decision ). Quite close to the bird so that there will be foreground and background on recording, but not too close that there will be a need to scale town volume to get correct levels so I lose the background. Lovely acoustic on this recording!